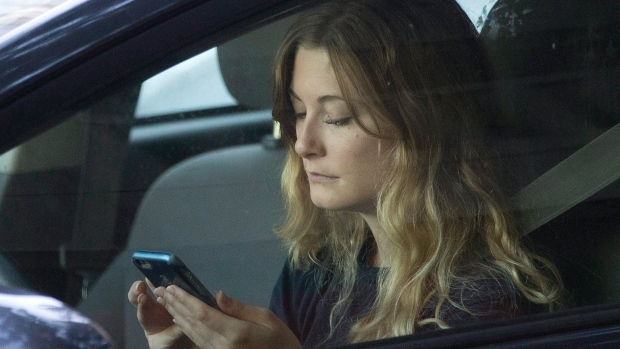 According to a new poll, a majority of Canadians believe that technology is the best way to stop drivers from being distracted by their phones. The poll, conducted by insurance company Aviva Canada, found that 78 per cent of Canadians believe only technology that stops people from texting and using other phone functions while driving will make our roads safer, not police crackdowns or peer pressure. Today, more people die on Canadian roads from distracted driving than impaired driving. According to the RCMP, four out of five collisions occur when a driver has their eyes off the road for just three seconds. Of the 1,504 Canadians surveyed for the poll, 95 per cent said that others’ texting and driving makes them feel unsafe on the road. Eighty-eight per cent said they’ve witnessed the dangerous practice. Only 22 per cent admitted to doing it themselves. Forty-nine per cent thought that fines and demerits are an effective deterrent while only 32 per cent thought peer pressure can be successful. Such technology, Aviva says, would look like the ‘do not disturb while driving’ feature on iPhone-maker Apple’s newest mobile device operating system, iOS 11. With the exception of Nunavut, every province and territory in Canada has legislation against using a cell phone while driving. Penalties range from three to five demerit points and fines from $100 to $1000, depending on the province or territory.